This chaand raat and Eid, give the women a break! As a long and exhausting month of Ramazan (because of the extreme heat) comes to a close, I am rather grateful for the lavish sehris and iftars I have been blessed with to complete this journey. Every year, Muslims around the world wait for this month to not only repent for their sins but also for the chance to indulge in delicious food at sunrise and sunset. However, only the privileged get to experience this side of Ramazan. There are thousands of people out there who fast with just the intention to fill their stomachs, uncertain of whether they will find food at sunset. There are many who have to beg to sustain their fast and everything related to it. Then there are others who have unlimited amount of help who cook for them, which means no family member has to step inside the kitchen, especially in the relatively inconvenient hours of the day to make food during sehri time. Others do not have that option of affording help so what traditionally ends up happening is that predominantly, the women of the house have to take that responsibility to make sure everyone in the house is fed. Therefore, fasting itself demonstrates socio-economic class inequality, not to mention that fasting is also a gender issue. I am lucky enough to be amongst those who do not have to spend much time in the kitchen, but I am aware of how different women have differing experiences of Ramazan. Firstly, I do not believe in having a heavy sehri; I make do with just water. However, during iftar time, I sit quietly at the table, waiting for the food to be served to me. My mother, however, does spend a good amount of time in the kitchen in the evenings, sometimes preparing food or guiding the help on how to do it. I’ve witnessed her many times being drained out and drenched in sweat from being in the kitchen, while she’s fasting, a few hours or even minutes before the Maghrib (dusk) prayers. Her involvement and presence in the kitchen is always needed and much appreciated. In addition, I know many of my friends wake up during sehri time to help their mothers and sisters prepare full meals, slaving away in the heat of the kitchen while the men wait to be fed. Alright fine, maybe the men are treated special in this case because they must wake up and get to work but then what about the working women? What about working mothers? What about those women who don’t have the privilege of not working at all because they need that income to run the house? They have to wake up at the same time as the men and go out and hustle the same way while fasting as well. Why then, as a culture, do we not encourage men to take on the responsibility of helping the women in the kitchen, if the food is to be consumed collectively? The general justification is that it is spiritually rewarding for women to cook for their families and care for the children. Why should there be extra pressure on cooking? The month is supposed to be about reduced consumption and if that’s what we care about, or at least pretend to, we should expect less cooking, considering women spend more time in the kitchen during Ramazan than on any regular day. Women, too, need time for spiritual engagement in this special period, which is supposed to be different from daily life. However, as unfair as it is, their housework, child care and other duties increase instead. Taking care of children, having a professional life and having to take on full responsibility of providing food for the family is physically draining. Amongst all this chaos, how are women to find the time to concentrate on prayer, when practically speaking, they need that time to catch up on sleep and rest. And this is not only limited to Ramazan. Come chaand raat, there are some rituals that many women (and men too, because there really isn’t anything wrong with it) like to take up before Eid arrives. They want to get to the salon for grooming purposes, get mehndi (henna) done, do some last-minute shopping for bangles, clothes and the works. 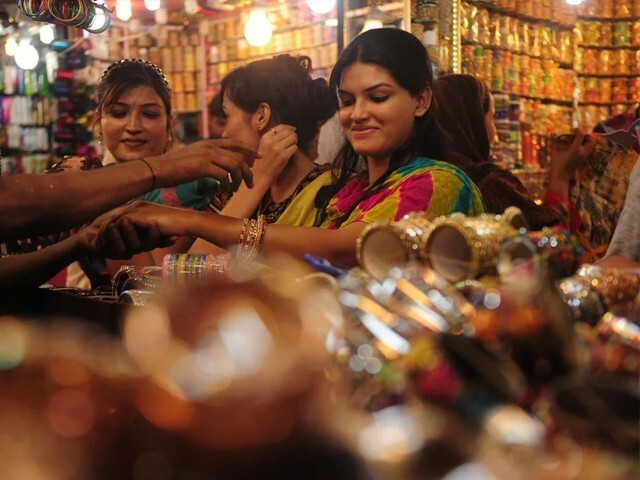 My typical chaand raat starts off at Liberty Market, a central spot for mehndi and bangle stalls. It is always bustling with people from all types of backgrounds getting ready to celebrate, immersed in shopping and eating away with their families and friends. There is no way that I compromise on getting my mehndi done – that’s the one thing I look forward to most on Eid! Even though I’ve got an entire closet full of glass bangles, there just can’t be enough of them in my life so the bangle stall is my next stop. The road side fries with the sprinkled masala on top at Liberty is a go-to snack while I finish the rest of my chores, and then the rest of the night is spent mingling with my loved ones. However, I am one of those privileged ones who do not have to worry about preparation for Eid. For those who do, they make sure everything at home is done in a timely manner, all the while finding time to dedicate to themselves. If they manage to do all their chores on chaand raat, they know they have to wake up early the next morning to prepare Eid food, clean the house and get ready to host guests, while the men simply get dressed in their best clothes and wait till the food is served. The women of the house must also always maintain a smile on their face and not show any signs of exhaustion or regret for having to spend more time in the kitchen. During our Eid celebrations, both men and women need to divide responsibilities around the house because there is absolutely nothing wrong with men offering to cook a meal for a change, because not only will that reduce the pressure for women to practically do everything, it will pleasantly give them some time off to focus on themselves. 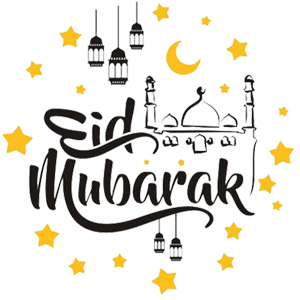 Eid is about coming together and celebrating our efforts of a long month of piousness and connection with God, but we also need to celebrate the women who work tirelessly to provide the very food with which fasting is possible for many people in the first place. They deserve a helping hand in preparing for occasions. In the midst of all the celebration, let’s all make sure the women around us who work tirelessly during Ramazan get the much needed pampering they deserve and help them make the most of chaand raat and Eid festivities! Eid Mubarak to everyone out there celebrating! Will Uber end up destroying Careem as well?